Long-term newsletter readers may just recall that we helped researchers at the University of Hull to recruit distance carers for a study of the particular issues affecting people who live a long way from those they support. The project has now been completed, with far more respondents than initially anticipated. 2. Get on your e-bike! You might think of cycling in the Peak District as an occupation only for the fittest and most hard-core among us. A new e-book by power chair user Thea May Lewis will change your mind. “Explore the Peak District by Bicycle” is a great guide to accessible cycling in general, and majors on 50 carefully described routes through this beautiful part of Britain. 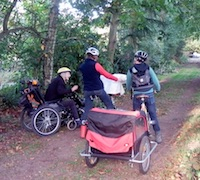 The author has ridden them all in her reclining wheelchair with add-on powered wheel. For the first week of February, you can buy the e-book for just 99p, before it goes back to its normal price of £5.99. 3. Tech – double-edged sword? I wrote in a recent newsletter about the great benefits being brought to the workplace by assistive technology. Access to Work, which helps with the additional costs encountered by disabled employees, has a Tech Fund dedicated to this aspect. However, all is not rosy in the technology garden if you have a disability. A recent report by Ofcom shows a wide disparity between disabled and non-disabled people when it comes to using tech. 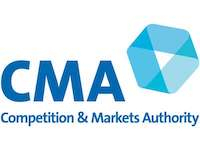 The Competition & Markets Authority (CMA) has been investigating some of the dubious practices found in the care home market. As a result, three care home providers (Care UK, Hallmark Care Homes Group Holdings Limited and The Fremantle Trust) have made changes to the charges they make following the death of the resident, and the way their possessions are treated. Separately, Care UK has been ordered to pay more than £3 million in compensation for failing to treat customers fairly. World Cancer Day is coming up on Monday, and aims to raise awareness of cancer in a positive and inspiring way. 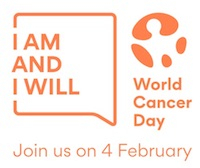 ‘I Am and I Will’ is the new theme, calling for personal commitment and action taken now to save lives. There can’t be many of us whose lives haven’t been touched by cancer, either directly or through affecting someone we care about. Raising awareness is an essential first step to early diagnosis and treatment, which can save millions of lives around the world. Our friends at MASIS (Mobility and Support Information Service) have a bright and shiny new website, where you can find information and advice, notably about topics such as motoring, education, health and travel.